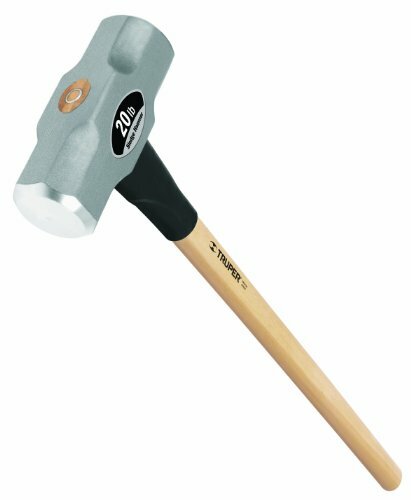 Truper 30916, MD-6H, 6-Pound Sledge Hammer, Hickory Handle, 36-Inch. 6-pound sledge hammer for heavy demolition. 36-inch Durable hickory handle is an industry standard for strength and comfort. Shock absorbent "poly guard" for overstrike protection. Pro-Grade for commercial industrial, or residential use. Stock up on quality Truper Tools for other projects today. Truper has been in the hand tool manufacturing business for over 40-year and is by far the largest Mexican company in its field. Truper relies on the most advanced modern and efficient technology to guarantee the optimum quality and value of its products and demanding service needs of the company's global customers.